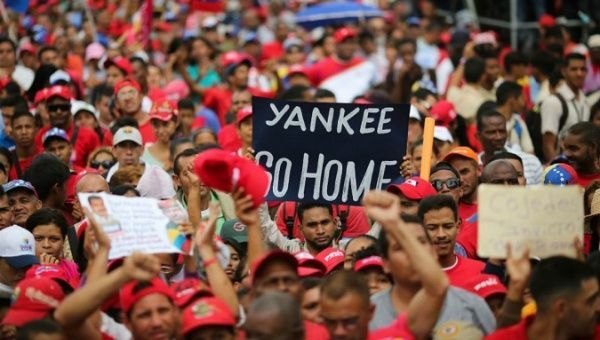 Due to the economic blockade imposed by the US, the EU and their lackeys, the social democratic policies of the government and the organizational weaknesses that still exist in the revolutionary movement, the Venezuelan people are undergoing a complex economic, social and political situation. This threatens to become aggravated for the popular masses unless there is a change of direction towards a genuine revolution and popular democracy under the direct leadership of the working class, peasants, commune members and the popular movement. The international revolutionary movement grouped around the ICMLPO is taking up the great challenge of supporting a people that faces immense imperialist powers. These powers are trying to appropriate its natural riches, placing the whole weight of the crisis on the workers. For this reason and because of the justness of the struggle that our comrades are waging, we stand with them with the deepest solidarity to support those who resist and fight in that country, under difficult conditions, in order to achieve victory in the current battles and preparing for those that are to come, with a clear and consistent line of action. The proletarian revolutionaries and other revolutionaries face the great challenge of organizing and leading the independent struggle of the proletariat and the people to confront the crisis and provide a revolutionary perspective. In these efforts they have the support of the communists organized in the International Conference of Marxist-Leninist Parties and Organizations, ICMLPO, of other revolutionary forces, of the workers and the peoples of the world.